Early on, I decided to concentrate on 1/72 scale models, because I wanted my models to all be in scale with each other, and because, particularly thirty years ago, 1/72 scale had the greatest range of subjects, especially the models manufactured by the splendid English company Airfix. Other model manufacturers whose 1/72 kits I've built include Academy, Aurora, ESCI, Fujimi, FROG, Hasegawa, Heller, Hobbycraft, HUMA, Italeri, Monogram, Matchbox, and Revell. The highly successful Fokker Eindekker achieved infamy in World War One in part because it was the first aircraft to employ an interrupter mechanism connected to the machine gun, to shoot intermittently through the propeller arc without hitting and damaging the propeller. The pilot of an Eindekker banked the aircraft for turning by the use of the prominent rigging wires, which could cause the wings to warp, in the same manner that the 1903 Wright Flyer steered by wing warping. This Revell plastic kit was detailed with a scratch-built seat, fuel tank, control yoke and instrument panel in the cockpit, photo-etched wire wheels, and a photo-etched perforated shroud on the machine gun. White metal machine gun, rotary engine and propeller were from AeroClub. Paint was Humbrol, decals were MicroScale, and flat finish was Poly-Scale. Rigging was nylon invisible thread. This is one of the oldest models you will see on this site. Seeing it today, I cringe at the overscale boarding stirrups, and the distinctly low right wingtip. Live and learn. Click on the thumbnail images below to see the pictures in detail. In the never-ceasing race for airborne technological superiority during World War One, the Sopwith Aircraft Company experimented with the concept of the triplane: adding a third wing to the standard biplane design. The Sopwith Triplane was so successful that manufacturers on the German/Austro-Hungarian side soon developed triplanes of their own, the most well-known perhaps being the Fokker Triplane of Baron von Richtofen fame. 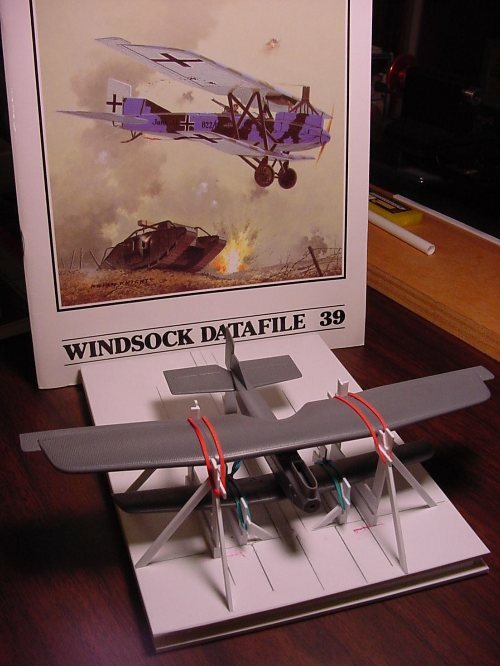 This Revell kit was one of the first airplane models that I built with an eye toward winning a model contest. I had entered local and regional IPMS (International Plastic Modellers Society) contests before, and I observed that in the most popular contest catagories (airplanes), where there were many, many entries, it wasn't enough to do a neat job of assembly and painting, with authentic colors and markings. The contest winners made an extra effort, adding more details, such as super-detailed interiors, or opened-up engine compartments, or brake lines on the landing gear. One particular favorite extra detailing technique was to cut out and reposition the control surfaces (ailerons, elevators, flaps, rudders) out of the neutral position in which the kit parts typically were molded. So on my Sopwith Triplane, I cut out the ailerons and elevator, to reposition. In fact, I bought two Triplane kits, because I found the best way to reposition ailerons was to cut away the aileron from the wing from one kit, ruining the aileron in the process, and then cut out the missing aileron from the matching wing of the other kit, ruining that wing in the process. Wasteful, but effective. In addition, I built a complete interior for the Triplane, including the framing inside the fuselage, visible through the open cockpit. I replaced the crude engine from the kit (which dated back to the early 1960s, I think) with a metal engine and propeller from Aeroclub white metal accessories. The Aeroclub white metal Vickers machine gun has a scratch-built padded cushion (to protect the pilot in case of a crash-landing). I added control horns to the ailerons, rudder and elevators, complete with control wires, and I positioned the pilot's control stick inside the cockpit to match the positions of the ailerons and elevator. The most challenging part of the rigging (nylon invisible thread) was precisely locating the holes through the middle wings, so that the diagonal landing wires passed through each middle wing perfectly straight, from the top wing to the bottom wing. This model was painted with Humbrol paints, with Poly-Scale clear flat finish. Decals were MicroScale, with custom decals for "BLACK PRINCE" and "N5487" made from Woodland Scenics press-type letters on clear decal film. Alas, despite my best efforts, the Sopwith does not appear to have ever won a trophy. Many, many years ago, for Christmas I received a batch of Aircraft in Profile booklets, on a wide range of aircraft subjects, spanning from World War One through the 1950s (I still have those forty-five year-old Profiles). 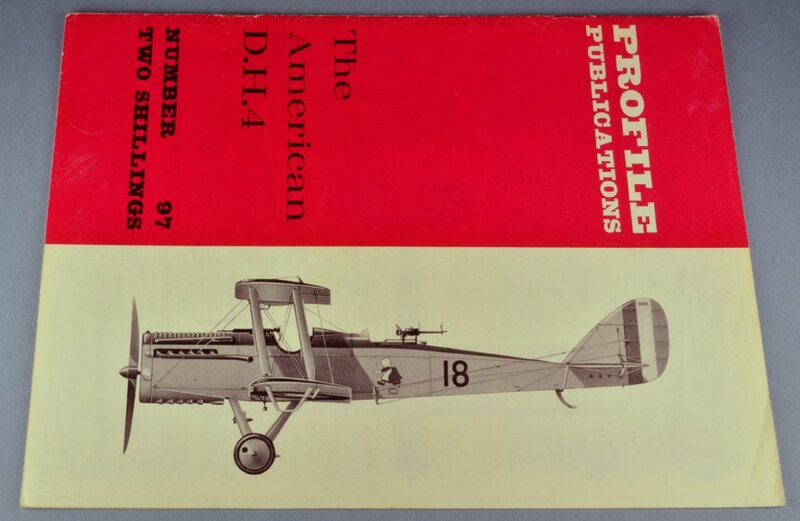 One of the Profiles was on the "American DeHavilland D.H.4". The color subject on the inside of the front cover was of a particular DH-4 from No. 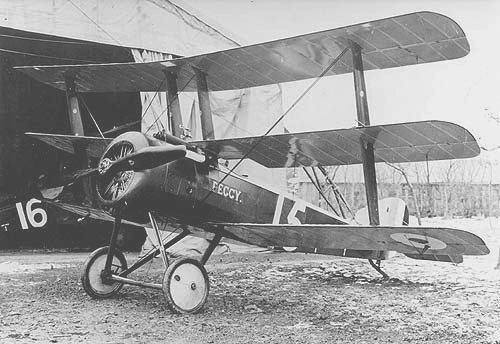 50 Squadron, of the American Expeditionary Forces in WWI, with the "Dutch Cleaner" emblem on the fuselage. Twenty years after receiving the DH-4 Profile, during a visit to The Squadron Shop (when it was still open for business in Wheaton, Maryland) I bought a set of MicroScale decals that included the "Dutch Cleaner" markings needed to decorate a 1/72 scale model, to match the airplane illustrated in the Profile, albeit a fair bit oversize. 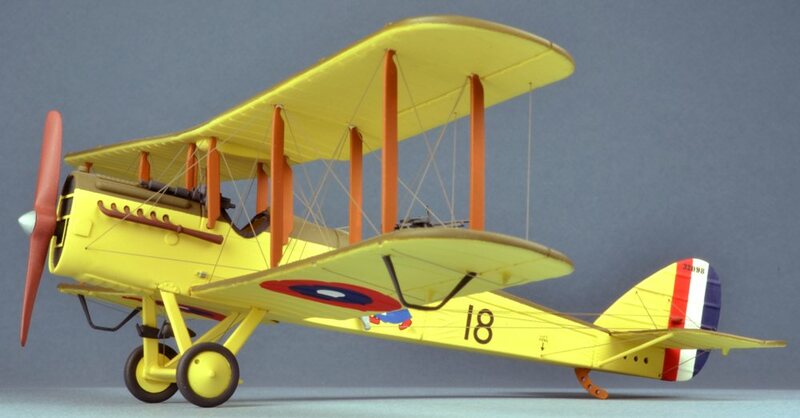 Soon after, I found and bought an Airfix kit of the English DH-4. Using the information in the Profile and the MicroScale decals, I modified and built the Airfix kit. I believe this was the first time I had followed that pattern: see a reference about a specific airplane, find decals for that particular airplane, buy, modify and build a kit of that airplane. This was, of course, old hat for modeler builders since forever, but this was the first time for me. To me, this is the core pleasure of model building: find a subject, research it, collect the necessary accessories, successfully complete the model; perhaps the only rendition of this subject I will ever see. What fun! I didn't have to modify much on the Airfix kit to simulate the American-built version: increasing the chord (front to rear depth) of the main wing struts, adding header covers, adding louvers on the top and bottom of the engine nacelle, revising the framing on the radiator front around the propeller shaft, and adding a pair of modified AeroClub white metal Marlin .303 machine guns to the top of the engine. I also added fuselage interior framing, scratch-built seats, a fuel tank, instrument panels and wind-driven generators. All paint was Humbrol, the decals were the afore-mentioned MicroScale, rigging was monofiliment invisible thread, and clear flat final finish was Poly-S. 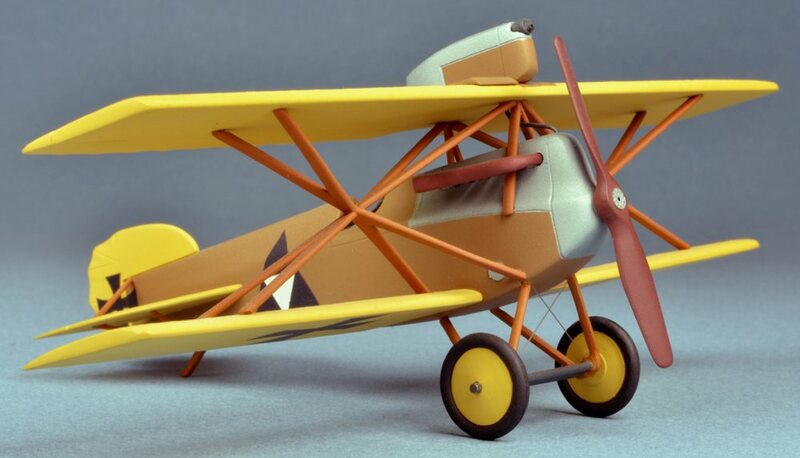 Seeing photos of this model, twenty-six years after building it, I see I was too casual back then about making sure the wings, fuselage, tail surfaces and landing gear were all perfectly plumb, true and level. Also, some of the wing struts are bowed, possible from age. Despite all that, this model won a First Place for 1/72 Rigged Aircraft at the IPMS Region II contest in 1989. The Albatros C.III two-seat observation biplane was a stalwart of the German Air Service. 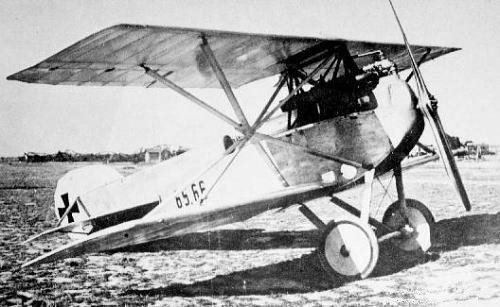 Propelled by an in-line, six cylinder Mercedes aircraft engine, the C.III was considered to be a stable, sturdy and reliable reconnaissance airplane, serving through-out all German theatres of World War One, from the Eastern Front to the Western Front, and in the Middle East. The C.III was armed with one synchronized machine gun firing forward through the propeller arc, and one flexible Parabellum machine gun operated by the rear-seat observer. Of the half-dozen or so vacuum-formed models I've assembled, this Joystick model was easily the one I most enjoyed building. Everything inside the fuselage is scratch-built: seats, instrument panels, fuselage framing, accessories. The white metal engine and machine gun were AeroClub. The airscrew was my one and only experiment with laminating very thin plys of dark and light wood veneer, which I then carved into a propeller, to simulate the historic laminated airscrews of World War One. All paint was Humbrol, the decals were MicroScale, plus scratch-made serial numbers from Woodland Scenics press-type lettering. Flat clear finish was Poly-Scale. The rigging was nylon invisible thread. This model won First Place in 1/72 Vacuum-formed Aircraft at the 1993 IPMS National Convention in Atlanta, Georgia. Click on the thumbnail images below to see the pictures in detail. The Hansa-Brandenburg D.I "Starstrutter" was designed by Ernst Heinkel of World War Two/Luftwaffe fame. 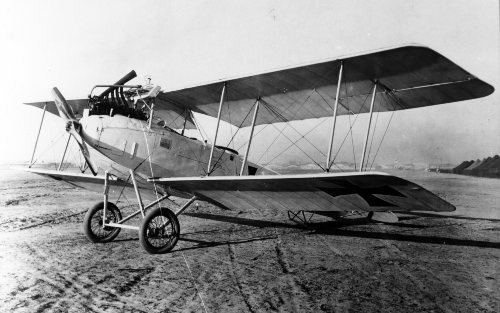 Although visually memorable due to its unusual cluster of interwing struts, apparently it was not a particularly successful design, due in part to the limited visibility for the pilot, and the high drag installation of the machine gun (unhelpfully out of reach by the pilot during flight). The D.I was useful to the Austro-Hungarian Air Service mostly because it was available, when not many other fighter aircraft were. The D.I led to the much more effective Phonix D.I through D.III fighters. Twenty-five years ago (twenty years after my father and I built all those Aurora WWI models,) I again became engrossed in World War One aircraft. There were many 1/72 scale kits available by the early 1980s, and I quickly collected forty such kits, along with enough AeroClub white metal engines, machine guns, propellers and other detail parts to equip them all. 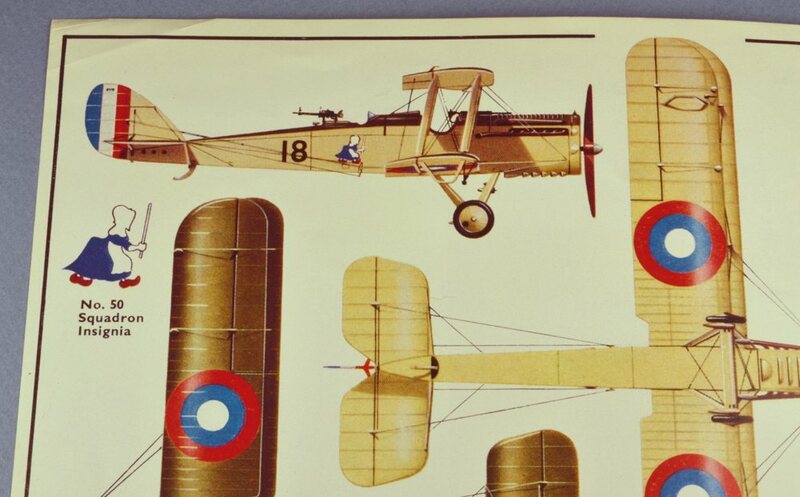 Many of those forty kits were vacuum-formed, because while the famous WWI SPADs and Fokkers were well covered by injection-molded styrene kits, World War One spawned a lot of unusual aircraft, too esoteric (and probably unprofitable) for mainstream styrene kit manufacturers like Revell and Airfix to invest in mold-making. To fill this need, many cottage-industry companies, often one-man-shows, produced vacu-form kits, resin kits or very crude, short-run, low-pressure injection kits. Whatever the format, if the airplane interested me, I bought the kit. The Hansa-Brandenburg "Star-Strutter" was one such vac-form kit. I have no record now of who made it. It was, even for a vac-form kit, very simple. At this point, I had built a few vac-forms, following advice in books from Kalmbach Publications, and FineScale Modeler magazine, and I could do a pretty fair job. 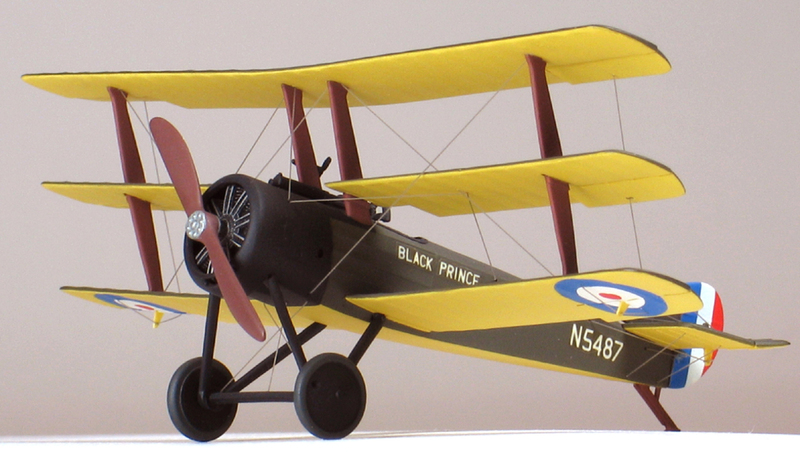 I adopted a convention for assembling vac-form biplanes that, while not very accurate, surely simplified their construction: I superglued a sheet of very thin styrene to the undersides of the wings. This created a thick, very not-to-scale airfoil, but it sure made building these models easier. As you can see, what made the Star-Strutter so interesting was the star-like assembly of struts that braced the two wings. As a result, the Star-Strutter was reportedly very sturdy, and did not require the typical wire-bracing of conventional biplanes. I remember how, after I assembled the wings, and attached the lower wing to the fuselage, I made a cardboard jig to hold the upper wing in the correct relationship to the lower wing. Then, I cut out of thick sheet styrene the first of two X-shaped struts, using the crudely-blown vac-form kit struts as a pattern. Test fit, trim, test fit, trim, about two dozen times for each strut, until I had a good part. Once the two X-struts were completed, I fashioned the four V-shaped struts to finish the construction. I think I fit those struts and wings together about a hunnerd-eleventy times, before I was done. I then carefully scraped each strut unit to have an airfoil shape, in cross section. The rest of the kit was easy, by comparison. All paint was Humbrol, the national insignia were splended MicroScale decals, the unit markings were some miserable Blue Rider decals that would not stick, and the flat finish was Poly-Scale. This is the Eduard limited-run plastic kit of the J.1. To install the upper wing in proper relation to the lower wing and fuselage, I built a jig out of Evergreen brand styrene strip plastic, based on the kit and on scale drawings in the Albatros Productions booklet on the J.1. Rubber bands held the kit components in place on the jig while I scratch-built new struts from an extruded styrene product with an airfoil-shaped cross section called, appropriately enough, Strutz. Each scratch-built strut had tiny brass wire pins installed at both ends, to fit into matching holes in the wings and fuselage. After all of the painting and decaling was complete, the model was returned to the jig, to glue in place the fourteen struts. All paint was Humbrol, and the flat finish was Testor's ModelMaster flat clear lacquer. The national markings were from the Eduard kit, but the kit's lozenge-fabric pattern decals were too brittle and chipped badly when cut out from the decal sheet, so I substituted lozenge decals by TechMod. This was a very challenging but enjoyable kit.